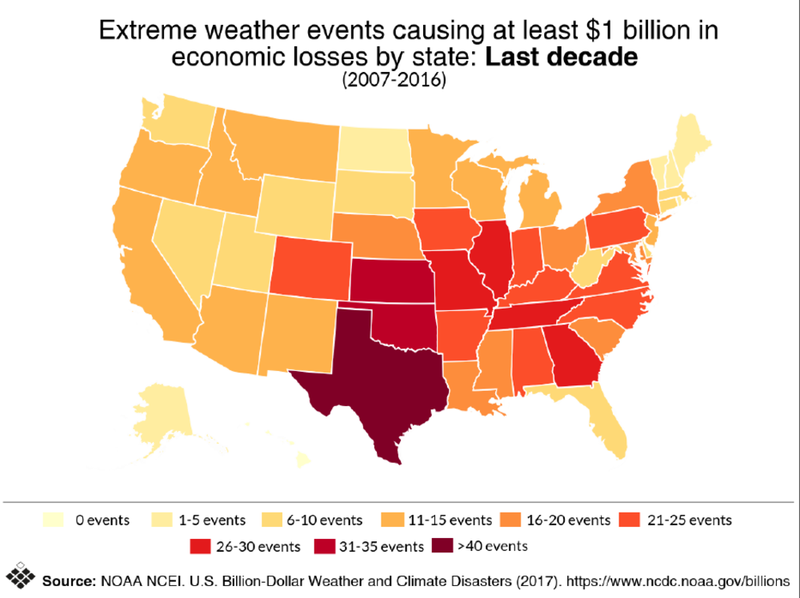 Stronger hurricanes, hotter heat waves, more frequent wildfires and more severe public-health issues are all adding to the costs of climate change, which will reach almost $1 billion a day in the U.S. within a decade, according to a report released Wednesday. 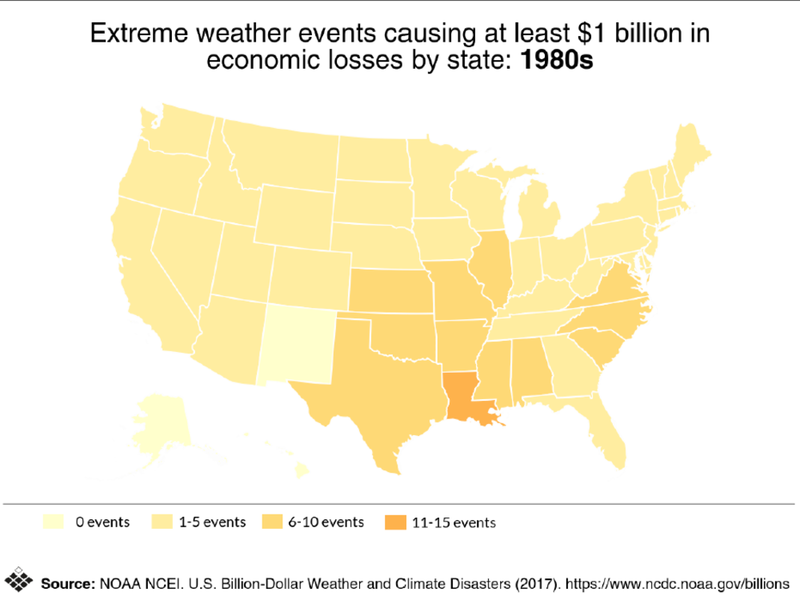 Total costs to address the impact of rising temperatures will swell 50 percent by 2027, to $360 billion annually, according to the study from theUniversal Ecological Fund. That equates to about 55 percent of expected economic growth in the U.S. The report comes as the U.S. continues to reel from one of the costliest hurricane seasons in history. 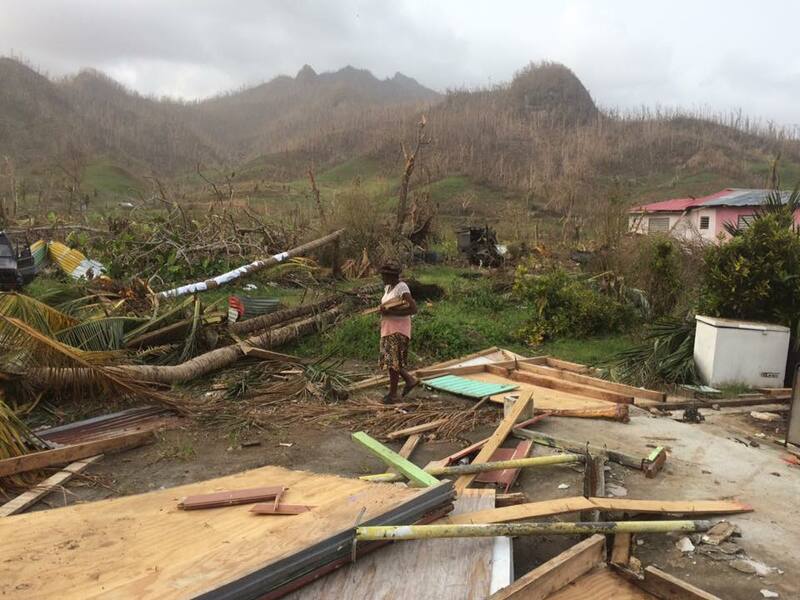 Hurricanes Harvey, Irma and Maria have inflicted an estimated $173 billion in damage in Texas, Florida, Puerto Rico and the U.S. Virgin Islands. On the West Coast, record dry conditions and heat have triggered wildfires in nine states. Unless the U.S. cuts fossil fuel use, the economic toll from such events will continue to rise, the study concludes. “The increasing damage from climate-change related storms, wild fires, human health, agriculture loss and the like are taxing the potential of economic growth,” said James McCarthy, a Harvard University professor whose co-authors included Robert Watson, former chairman of the Intergovernmental Panel on Climate Change. The researchers weren’t paid for their work. The study’s conclusion that fossil fuels exacerbate global warming and create a drag on economic growth runs counter to the view of the White House. President Donald Trump, who has called climate change a hoax, has put oil, natural gas and coal production at the center of his economic agenda. Energy Secretary Rick Perry told a meeting of the National Petroleum Council on Monday that fossil fuels are even saving lives in developing nations by increasing access to energy. The economic toll of climate change is not limited to storms. 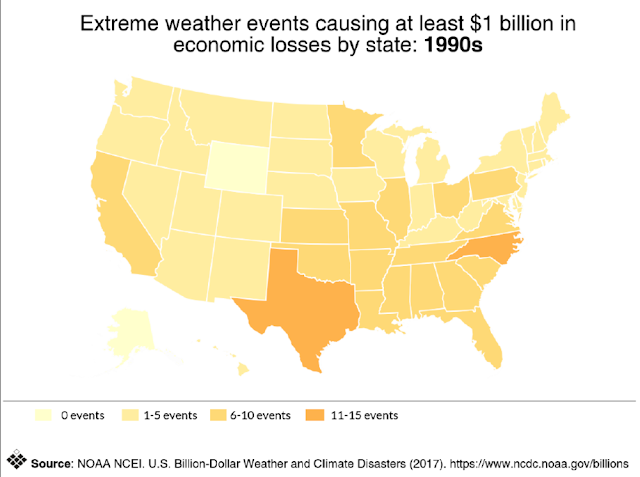 Droughts in states including California, Texas and Oregon have led to $56 billion in crop losses since 2012, according to the study, which used data from the National Oceanic and Atmospheric Administration, the Centers for Disease Control and Prevention and other federal agencies. If global warming goes unchecked, corn and soybean production may fall as much as 30 percent in the next three decades, costing farmers as much as $25 billion annually, according to the study. States with greatest weather losses shifted somewhat in 1990s. For years, policy makers argued it was impossible to grow the economy without increasing fossil fuel use. Renewable energy has become more common, challenging that notion. “That’s no longer true,” McCarthy said. 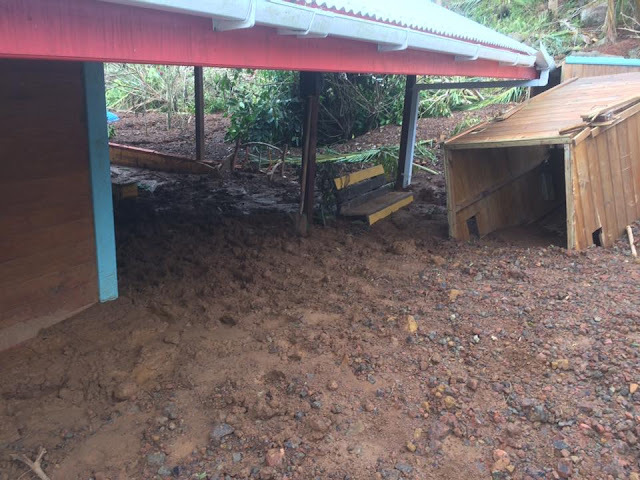 Post hurricane Maria report Commonwealth of Dominica - Sept 28 - The scene here is surreal. Devastation everywhere. No visible signs of organization or rule of law. Over a week after the storm and still no where to buy food (or anything else for that matter). Still no utilities available anywhere. Bathing and washing clothes in rivers and streams. Many have to travel significant distances to get drinking water. Gasoline sales are rationed on a per person basis. Long lines for that, and supply still doesn't meet demand (sells out). Communications are only available in a small zone on the west coast. We have to travel a significant distance to send messages. There is still no coherent relief effort in place. People keep expecting food deliveries, but as of this writing they still haven't come. The mood in heavily populated areas is tense (looting and violence has been rampant in the capital). 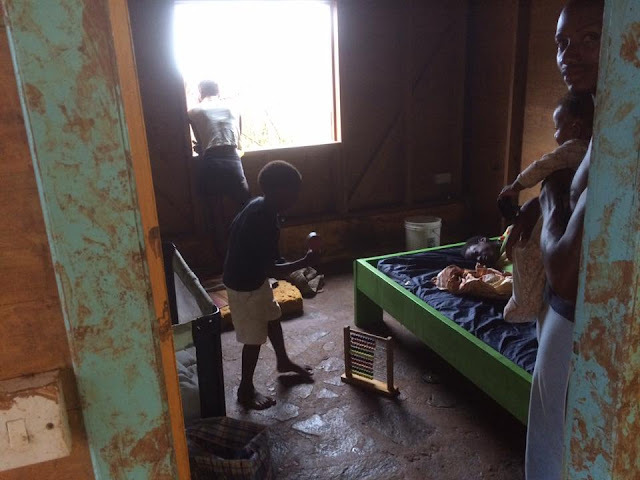 The conditions in the shelters are unsanitary and completely chaotic. Many are trying to evacuate. In the mountain villages where most are farmers the situation is much more calm. Fortunately all of our locations are in the mountains, but even up in these areas there will be food shortages if distribution is not restored soon. The storm destroyed most crops. We reconnected with more of our crew on Monday and Tuesday. Still some we haven't reached. 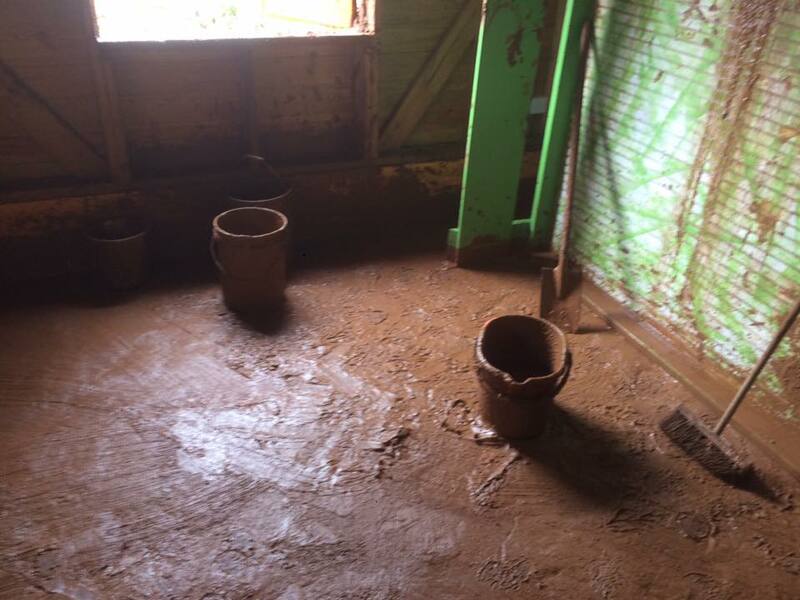 On Monday we worked together to put on a temporary the roof for the common house at Pongovi, then we moved east to clear a house that was filled with mud from a landslide, and got running water from their catchment restored. There is an insane amount of work to be done; far more than is feasible with our current team. There is also a shortage of equipment and materials for repairs (there is still no way to purchase anything). Our first outside volunteers are going to attempt to enter this week with supplies. We don't know yet whether they will be allowed in. There are conflicting reports as to the status of the ports. Some say only relief workers from established NGOs are being let in. Once we can confirm that entry is possible we will post contact information for one of our people on the outside who will be coordinating incoming volunteers equipment and supplies. The trees are starting to get their first leaves back already. As the disaster-relief effort enters its second week, air traffic is slowly resuming, which means hundreds of thousands of Puerto Ricans will likely flee the devastated island to stay with friends and relatives in the continental US as they wait for FEMA to rebuild roads, repair power grids and and revive the island's communications infrastructure – a process that could take months, if not longer. While the urgency of the situation leaves many of Puerto Rico’s 3.4 million population little choice, the Financial Times is reporting that the scramble to flee could worsen the population decline as some of those leaving may opt to permanently resettle. Meanwhile, cities with large Puerto Rican populations are asking for federal assistance as they prepare to absorb as many as 100,000 people fleeing the hurricane. Mainland US cities with large Puerto Rican populations are warning that they will need federal help to cope with an anticipated influx of island residents fleeing the devastation visited on the US commonwealth by Hurricane Maria. Some have said they expect to host the disaster victims for up to six months. Some city officials claimed that they’re working with state and federal officials to formulate a coordinated response. Officials from the Orlando area said on Wednesday that co-ordination with the federal government was in the early stages. As the FT noted, the severity of the crisis was underscored on Thursday when President Donald Trump waived the Jones Act, allowing more ships to make their way to Puerto Rico. In a series of tweets, Trump lauded the disaster response, saying that navy vessels have delivered millions of dollars of supplies to the island. Thank you to FEMA, our great Military & all First Responders who are working so hard,against terrible odds,in Puerto Rico. See you Tuesday! Congress, meanwhile, has pledged to deposit another $7 billion in Puerto Rico's emergency relief account by the end of next week. However, as WSJ reported, thousands of shipping containers holding potentially life-saving supplies have been marooned at ports in San Juan as FEMA scrambles to rebuild roads and set up a makeshift distribution system to deliver supplies to needy disaster victims across the island. Crowley Maritime Corp., based in Jacksonville, Fla., but a major operator of cargo ships to Puerto Rico, had 4,100 containers with both relief supplies and commercial cargo waiting at San Juan’s port on Thursday. Another carrier, TOTE Maritime, said earlier this week it had more than 3,000 shipping containers stacked up at the port awaiting transport. 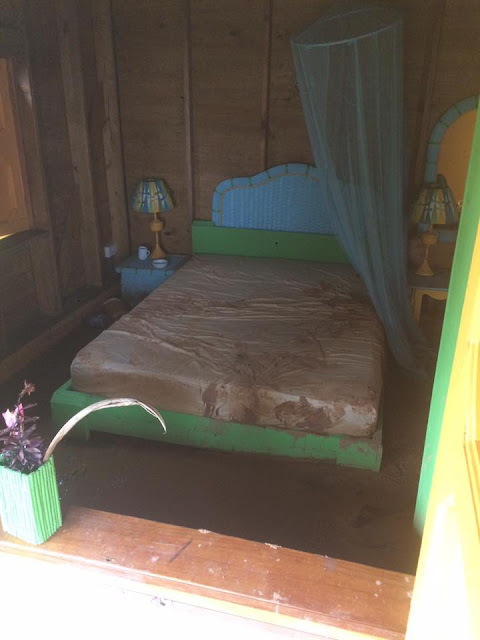 While Democrats have criticized the disaster response, Puerto Rico Gov. Ricardo Rossello said Friday that the Trump administration has been very attentive in its response to the situation in Puerto Rico, as the Washington Examiner reported. "I have to say that the administration has responded to our petitions. FEMA, Brock Long, has been on the phone virtually all the time with me, checking out how things are going," said Rossello, leader of the New Progressive Party. Puerto Rico is US territory, which grants its residents citizenship but not the right to vote in US elections. Over the past decade, many have left the island as its economy has deteriorated, resulting in Congress appointing a federal oversight board to oversee to manage the island’s finances while it negotiates an accord with its credдtors. As much as 40% of Puerto Rico doesn’t have access to potable water. Meanwhile, in the rush to get off the island, crowds jammed the cruise ship dock in San Juan desperately hoping to board a Royal Caribbean cruise ship the Adventure of the Seas, which was sent to help evacuate people struggling to find a way off Puerto Rico following the destruction of Hurricane Maria. According to the New York Post, more than 2,000 people sweltered in the hot sun, forming a line stretching down the shore and a pier. Expect the exodus to the mainland to intensify as shell-shocked Puerto Ricans scramble to get off the island by any means necessary. Catalonia’s High Court on Friday ordered Google to delete an application that it said Catalan separatists were using to spread information about a disputed independence vote this Sunday, Reuters reported. The court also ordered Google to block any future applications developed by the gmail address “Onvotar1oct@gmail.com”, according to a written ruling. The app, which was available on Google Play until just before 7 p.m. on Friday, helps people to find their polling station via their address and shows the closest polling stations on Google Maps via GPS, the name of the town or keywords. It also allows users to share links to polling station locations, according to The Spain Report. Google told The Spain Report that: "we remove content from our platforms when we receive a court order or when it violates our terms and conditions". The app no longer appears to be available from Spain. The court order told Google Inc—at 1600 Amphitheatre Parkway Mountain View CA 94043 (USA)—to take down the app located at that URL and also to block or eliminate any future apps submitted by the user with e-mail address "onvotar1oct@gmail.com" or identifying as "Catalonia Voting Software". The judge said in her ruling that the tweet with the app link is "only a continuation of the actions of the [Catalan government] to block" Constitutional Court and High Court orders "repeatedly". The High Court in Catalonia issued an order on September 23 allowing police to take down any referendum websites linked to by members of the Catalan government on their social media accounts. Friday's new court order was issued because this is a referendum mobile app, for download, not a link to a referendum website or domain directly. The "reluctant attitude" of the Catalan government to obey the previous orders about referendum websites is "clear, once again", says the judge. "…they mean to dodge said blockades with computer applications for mobile devices, which, like the web pages, only promote and facilitate the holding of the referendum on October 1." The Civil Guard notified had notified the judge earlier today that a link had appeared on the Twitter profile of Carles Puigdemont, the Catalan First Minister, at 8:30 p.m. on September 27, "announcing the availability of a mobile app with information about the referendum in Catalonia, along with a link to download it". The judge has ordered the Civil Guard to take the actions needed to enforce the order. Some 140 referendum websites and mirrors have now been taken down on court orders since the beginning of September. As reported earlier, Madrid, which claims the authority of a constitution that declares the country to be indivisible, remained implacably opposed to Sunday's vote. “I insist that there will be no referendum on Oct. 1,” central government spokesman Mendez de Vigo told a news conference following the weekly cabinet meeting, reiterating that the vote was illegal. However, as also noted previously, it appears that the local population has no intetion of complying with the crackdown. In a sign that large crowds are again expected on the streets on Sunday, department store chain El Corte Ingles said it would shut three stores in central Barcelona. The central government said airspace above the city would be partly restricted, according to Reuters. Meanwhile, lines of tractors draped in the red-and-yellow striped Catalan flag left provincial towns on Friday, planning to converge on Barcelona in a sign of support for the referendum. Even as Europe's political establishment professes its liberal ideals by accepting - or in the case of the ongoing spat between Brussels and Central Europe, forcing others to accept - as many refugees as humanitarian virtue signalling will require, the true face of Europe is gradually emerging behind the scenes, and according to The Local.de, starting today armed soldiers from the Danish Armed Forces (Forsvaret) will replace police officers at both Denmark’s southern border to Germany and at potential terror targets in Copenhagen. The plan to put armed military soldiers at the border and potential terror targets has been under discussion for well over a year, or not long after Europe realized the consequences of the great welcome party thrown by Angela Merkel in 2015. The official explanation is that it is being implemented as a way "to ease the workload of an overworked and undermanned police force." The unofficial, of course, is that the police desperately need help against an ongoing influx of potential terrorists. Meanwhile, Denmark has long since lost the idealistic illusion it is a noble, humanitarian home welcoming the world's refugees. As theWaPo wrote last year, "as Europe walls itself off, the continent is left to reckon with what’s become of its long- cherished humanitarian beliefs. And to many in Denmark, the chasm between reputation and reality looks particularly gaping. And now, just in case the measures were insufficient, heavily armed soliders will be there to make sure there are no more casualties as a result of Angela Merkel's "shared" generosity. South Korean banks and vital infrastructure facilities, including nuclear power plants and government ministries, havereportedly been hacked by Pyongyang in the past. And as tensions in the region escalate, many now fear the North Korean regime will conduct an atmospheric nuclear test to coincide with the 72nd anniversary of the founding of the Workers' Party of Korea on October 10. "Current regulations prohibit the transfer of client information overseas, so we are discussing ways to revise those rules so we can set up data back-up centres abroad," a Financial Supervisory Commission official said as cited by Chosun. “I understand it is an important anniversary for North Korea. We would like to maintain a sense of urgency,” Japanese defence minister Itsunori Onodera said Friday as cited by The Japan Times. A nuclear blast or a specifically designed electromagnetic pulse device can create current and voltage surges in electronic devices while corrupting digitally stored data, posing a huge risk to financial institutions based in the South. High altitude nuclear weapons are harder to intercept than weapons designed to strike targets on the ground and produce a giant wave of electrons which spreads outward through the Earth's magnetic field, creating an electromagnetic pulse which can, in turn, lead to surges of 10,000 volts or more within the electric grid. UN sanctions, which the North Korean regime has dubbed “the dirty excrement of the reactionaries of history,” have been ramped up over the past few months following a series of nuclear and intercontinental ballistic missile tests by the reclusive nation. However, security and nuclear energy experts warn that the North may not yet have the technically capability to perform an atmospheric nuclear test, further amplifying the threat posed given the quantity of variables. “We are talking about putting a live nuclear warhead on a missile that has been tested only a handful of times. It is truly terrifying if something goes wrong,” Vipin Narang, a nuclear expert at the Massachusetts Institute of Technology said as cited by the AP. For context, a nuclear blast at an altitude of 60 miles will affect a 700-mile radius which ups the ante significantly should the North decide to follow through on threats to exercise their military muscle in response to abrasive rhetoric from Donald Trump and increased international pressure on Pyongyang. An atmospheric nuclear test would also pose a huge threat to aircraft and shipping in the region as the North Korean government is unlikely to issue prior warning. Puerto Rico - "the dead continue to accumulate"
How reliable is NOAA data?